Basic Introduction to Flamenco – Students are introduced to the cornerstone music and artists which helped create the genre of flamenco we know today. Learning the Cante (song) – The differences in song structures used in flamenco are explored including Alegrías, Bulerías, Farruca, Soleá, Tangos and more. Mastering the Compás (rhythm) – We analyze the complex rhythms used in song forms and start learning by mastering palmas (hand clapping) in time. 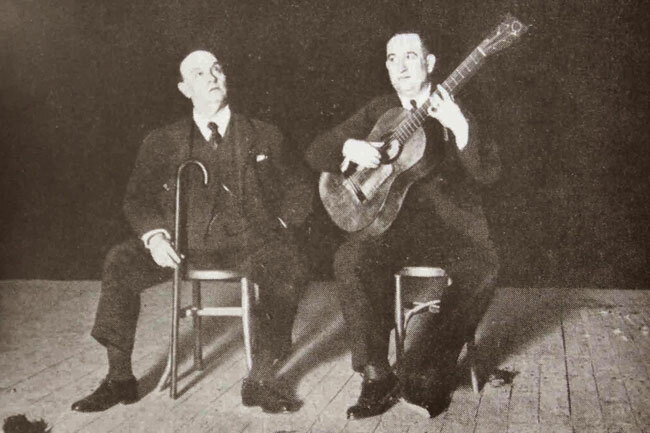 First Steps on Guitar – An introduction to the guitar techniques used in flamenco is shown to students in an educational video. Alzapúa, Arpeggio, Picado, Rasgueado, Tremolo and other key techniques are reviewed. Types of Rasgueado – 3-finger, 4-finger and 5-finger Rasgueado methods are looked at and practiced on guitar.